We’d love your help. Let us know what’s wrong with this preview of Ukiyo by Mela Ciano. On a routine assignment, Ukiyo finds herself dragged into a world of danger and deception when she is forced to pull the trigger and kill a man. Torn between the agency that funds her research and a man she knows nothing about, she has to choose sides in a secret war that dates back hundreds of years. To ask other readers questions about Ukiyo, please sign up. Enter to win One of Seven eCopies from Mela Ciano! Click on Banner to Enter - INTL where allowed! Another amazing read from a new and talented author! Mela Ciano's’s Ukiyo paints a whole new face to the paranormal genre. Dark, dangerous and vividly told, Ukiyo is plunges us into a world where trust is a commodity to use sparingly and greed and betrayal are powerful weapons. Secret lives, secret wars, secret protectors, one woman will find herself drawn into a world of death with the only sure thin Enter to win One of Seven eCopies from Mela Ciano! Secret lives, secret wars, secret protectors, one woman will find herself drawn into a world of death with the only sure thing being the sworn protection of her own personal demon. Will they find more than duty between them? A rapid-fire pace and strong characters will take deep into a world both familiar and new to the senses. Mela Ciano has a gift with words and she uses them to create atmosphere, action and three-dimensional characters that leap from each page. Pay attention, this is a ride to enjoy from the safety of your favorite chair and you won’t want to miss one minute detail. For me, the wait is on for book two and beyond. I want to thank Mela Ciano for this copy of Ukiyo in exchange for my honest review. Ukiyo is an amazing urban fantasy novel. 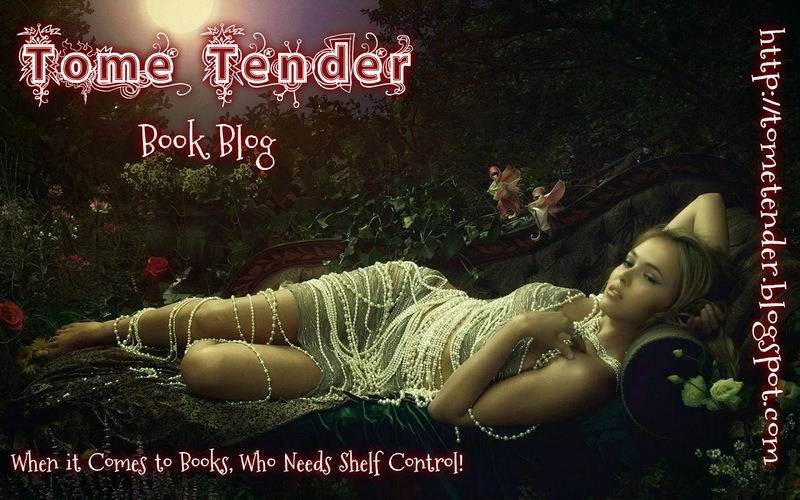 It has all the right ingredients of action and suspense, fantasy and romance. The world mela Ciano creates is the one we know, but filled with the unexpected. Slavic mythology serves as the background for a change, and definitely doesn’t disappoint. From the first sentence I found myself pulled head over heels into the fast-paced action, much like Ukiyo, and couldn’t let go. What happens when demons and human nature meet? Lots of twists and turns unfol Wow. From the first sentence I found myself pulled head over heels into the fast-paced action, much like Ukiyo, and couldn’t let go. What happens when demons and human nature meet? Lots of twists and turns unfold and the mystery just keeps going. Whenever you think you’ve found the answers…Ms Ciano takes you somewhere totally unexpected. I loved the incredible mix of characters traveling with me. Most interesting group I’ve encountered in a long time, that's for sure. This story is an action-packed and character-driven page-turner, with a healthy dose of romance and wit…in short, everything I want in a great urban fantasy! Can't wait to get my hands on book 2. *I was given this copy for free in exchange for an honest review. Ukiyo was extremely original new fantasy to devour. This marvelous adventure was enhanced by colorful, descriptive and very vivid writing style. As the plot twists and turns, you will find yourself drawn deeper into a world where magic of the paranormal clashes with the real world. Greed and control, promises and betrayal, family and bonds all play a pivotal role in Ukiyo's story. At times, this plot was quite complex. I did find myself re-reading a section or few. Ukiyo is a great new series and Ukiyo was extremely original new fantasy to devour. This marvelous adventure was enhanced by colorful, descriptive and very vivid writing style. As the plot twists and turns, you will find yourself drawn deeper into a world where magic of the paranormal clashes with the real world. Greed and control, promises and betrayal, family and bonds all play a pivotal role in Ukiyo's story. Ukiyo is a great new series and am anxious to see where it heads next. I received this copy of BLUD Mela Ciano in exchange for a honest review. A Big thanks to the author for the book in exchange for an honest review. 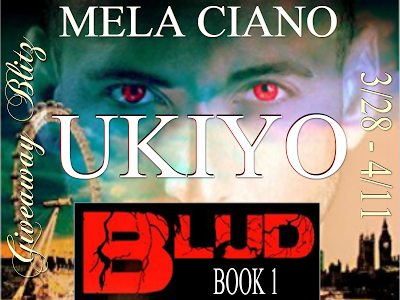 Blud-Ukiyo... is an urban fantasy first and foremost but also has a mystery and a suspense element to it that would draw mystery and suspense lovers. The beginning was a little difficult for me to get into since I am not overly fond of suspense. Suspense and Mystery was there from the first page to the last. The book started with Ukiyo in an assignment that goes wrong. From that day onwards her life was never the same. She A Big thanks to the author for the book in exchange for an honest review. The book started with Ukiyo in an assignment that goes wrong. From that day onwards her life was never the same. She learns that the agency that funds her research is not what it looks like and a whole host of truths that would keep anyone on their toes. Ukiyo is a professor but she also has facets of her that was at first surprising but with every page read I began to understand her and the plot. Burislav made a promise for most of Ukiyo's life he has been fulfilling that promise. Burislav and Ukiyo has a relationship that is based on trust. Yes, their relationship gets tested. But the aftermath or the consequence is worth it. They have an attraction towards each other which I am looking forward to. I received a copy of this book directly from the author/publisher in exchange for an honest review. It was with a heavy, and somewhat disappointed heart that I set this book aside at 20% in. To be clear, I didn’t finish the book—that doesn’t mean that I hated the book… only that I couldn’t finish it. Let me explain. Ukiyo by Mario Saincic started off strong. The first few chapters were riveting—full of action and atmosphere and I found Ukiyo a fascinating and easy to like character. I was sucked i I received a copy of this book directly from the author/publisher in exchange for an honest review. Ukiyo by Mario Saincic started off strong. The first few chapters were riveting—full of action and atmosphere and I found Ukiyo a fascinating and easy to like character. I was sucked into the story right away, and I thought “man, this is going to be awesome.” The plot was interesting, the scenes were detailed—the story seemed to be heading in a very good direction. Unfortunately, as I delved into the story, my inner editor began to cringe. The writing was good. Solid. Though the style wasn’t my usual preference—3rd person with some occasional omniscient asides and a slight penchant for being extremely detailed, and a little poetic here and there—I didn’t find it distracting. The problem for me lie with finer details of the story. There were a lot of moments where I stopped to question what I was reading. A few times, the characters acted in ways that didn’t seem logical. They sometimes made leaps and assumptions or seemed surprised by things that should have been obvious. The tense was off here and there… sometimes words were used that didn’t seem to fit what was being said (though most of these I chalked up to the difference in language/culture between the author and I). There were a few times I found missing words, awkward sentences, and instances where reactions were placed before actions in the narrative. One of the largest sticking points for me, however, was the confusion surrounding Ukiyo and her heritage in general. From what I read, I gathered that she was half Chinese, half African American, with hazel eyes. We won’t get into how unlikely it is for Ukiyo to have hazel eyes, but it did seem odd. Whatever. The thing is, it was later explained that she was raised in Germany because “the Germans were more accepting of interracial relationships and mixed children” which, let’s face it, sounds rather odd considering Germany’s history. I can push past it. Despite growing up in Germany, Ukiyo refers to herself as British… and speaks with British colloquialisms. At this point, things were getting kind of confusing. Even odder? Ukiyo’s name isn’t Chinese, African-American, British, or German. It’s Japanese. You may see why my frustration levels were getting rather high. In short, I don’t think this was a badly written book, but I do think that it was poorly edited. The bits and pieces of the writing that frustrated me should have been questioned by a copy editor or proofreader at some point in the process. I tried to push on and continue this book because I did like the plot, the characters, and the world building… but when I started picking up awkward sentence structures, tense problems, misspellings, and poor logical choices at a cringe-worthy rate of sometimes 4-8 instances a page… I threw in the towel. I’m simply not the type of person who can look over a lot of technical errors in what I read. I acknowledge that as a flaw of my own that the author is in no way responsible for… but it did stop me from enjoying the story. I think that someone who is less OCD about the editing of the story could probably enjoy this story with no problem—as I said, the basic structure behind the book was really well done—but I’m just not the type of reader who can overcome the problems presented by the editing. If technical errors don’t bother you, I highly recommend that any reader of the urban fantasy genre give this book a try—you could really like it. I wish I had been the type of person who could have read further into this book, but when my brain spends 90% of my reading time picking apart the grammar, punctuation, and fact-checking of a story, it’s time to admit defeat and throw in the towel. It just wasn’t for me. This had such a good premise and started off really strong, but the ending lacked something for me. I just can't quite put my finger on what it is. The beginning was full of fast paced action and adventure and I was sucked right in. And this lasted for most of the novel. It was high tempo and adventure all the time until the very end. From the assignment gone wrong up until Ukiyo visits her aunt and the director visits, I was in awe of how much I loved this novel. But then the romance really started and it was awkward and lagging. I thought the ending was fairly decent and left enough of a cliffhanger to make people want to read the next in the series. However, it made me feel kind of meh about what had previously occurred. It seemed as though Ukiyo had just gotten over the final events of the novel. As well, it left the whole "agency" that she works at thing hanging and not completed. Which is fine if there is more to that story, but there should have been some mention of it at some point in that last 10% of whether or not she was going to continue being "employed" by them. Ukiyo was a great character and extremely well written. She knew how to get stuff done and had no qualms about getting her hands dirty. She also took everything in stride and was able to be herself without any interference. As well, she found ways to save herself rather than always having someone come to her rescue. While she did need some help at some points, it was never to the point that she couldn't handle the situation and thus needed Buri to come and protect her. It was always a group effort. I am really excited to see where things lead to in this series because it is very interesting. I hope there is a bit more explanation and a bit of an expansion on Buri and his mythology. I would enjoy that. This book surprised me. Based solely on the blurb, I honestly wasn't sure if I'd enjoy it or not....but I did, I did, I diiiiiddd. I'm such a sucker for books with mysterious-bad-boy characters. Especially books with a strong female lead....And strong Ukiyo is....and hot/myaterious Buri is!!!! I can't say very much without giving anything away, but this book will be worth your time. It's action-packed and full of unique (and very developed) characters. The plot stayed consistent...with some plot t This book surprised me. Based solely on the blurb, I honestly wasn't sure if I'd enjoy it or not....but I did, I did, I diiiiiddd. I'm such a sucker for books with mysterious-bad-boy characters. Especially books with a strong female lead....And strong Ukiyo is....and hot/myaterious Buri is!!!! The plot stayed consistent...with some plot twists here and there, which are always much appreciated. The author did a very good job with her foreshadowing. I liked it. I really liked her twist on standard fantastical creatures....very, very creative views of them.Totally changes the typical Twilight view of things. The biggest thing for me when reading a book has to be the descriptive text. Without it, readers are seeing nothing but darkness. I didn't see a spot of darkness, or even shade, in Ukiyo. The way the author describes feelings and appearances continually amazed me. I felt like I was THERE, like I was breathing in the characters and their hopes and fears. I felt like I could hear the rustle of the leaves, feel the wind brushing past; I was THERE, guys! Seriously, it was astonishing. You can find this review (along with many more) here, on the CommonBookSense blog! There are books we call mysteries, and then there are mysterious books. The latter take you down a road of innuendo, make you think... wonder. When I saw the word archeology in the blurb, I was hooked. I didn't quite get to the part where our heroine a double life. If I had, I would have wanted to read it even more. I am prone to snap judgments and find myself to be right about those judgments more often than not. I expected a thriller and I got a thriller, perhaps one even more pulse pounding th There are books we call mysteries, and then there are mysterious books. The latter take you down a road of innuendo, make you think... wonder. When I saw the word archeology in the blurb, I was hooked. I didn't quite get to the part where our heroine a double life. If I had, I would have wanted to read it even more. I am prone to snap judgments and find myself to be right about those judgments more often than not. I expected a thriller and I got a thriller, perhaps one even more pulse pounding than usual. What I did not anticipate was a genre thriller replete with a most unusual take on some of the age-old tropes. When an author can lead someone as jaded as I down the primrose path, and with ever so subtle language suspend my disbelief, that author gets kudos from me. Here is a book that appeals on so many levels, I can almost not name them all. If you read action books, you should read this book. If you read genre books - science fiction, horror, mystery - you should read this book. If your taste runs to the eclectic, as mine does, read this book. I make it a practice to not do spoilers. With a book such as this, anything I tell you would be a spoiler. You need to enter Ukiyo's world and let yourself be carried away. The author sent me a copy of this book to read and review. Mela Ciano delivers an awesome story. The first page of Ms Ciano's newest work of art, Ukiyo, is like a portal opening up in front of you. You read the first words and, much like Ukiyo, you are pulled into an unknown world - filled with heart-stopping action, gripping suspense and that beautiful spark of romance. The story is very well written and vividly told. It's a masterpiece of a balancing act between action/suspense and romance. It NEVER gets boring, believe me! And let's not forget the urba Mela Ciano delivers an awesome story. And let's not forget the urban fantasy and paranormal aspect. I thoroughly enjoyed the alternative world Mela Ciano created and the touch of Slavic mythology she sprinkled on it. No boring paras here! It offers new creatures and a brilliant twist on the once you know. The characters are a cool and incredibly three-dimensional bunch. The banter between Ukiyo and her guardian Buri is priceless and had me laughing out loud a couple of times...before the action had me gripping my Kindle once more. I seriously can't wait to accompany them on their adventurous journeys in the books to come. This is a far cry from Mela's previous novel, Break the Chains and I hope it is going to be the first of many novels in this series as Mela has already established such a good character in Ukiyo. Here life is an adventure, and it is for Ukiyo who finds it hard to trust anyone in her life, especially her enemies. Ukiyo is a team player who also has to think for herself in dire situations that for anyone else would get the better of them. She's a decent character, gutsy and has to be to compete wit This is a far cry from Mela's previous novel, Break the Chains and I hope it is going to be the first of many novels in this series as Mela has already established such a good character in Ukiyo. Here life is an adventure, and it is for Ukiyo who finds it hard to trust anyone in her life, especially her enemies. Ukiyo is a team player who also has to think for herself in dire situations that for anyone else would get the better of them. She's a decent character, gutsy and has to be to compete with the men around her, but she's also got compassion in spades. She is a well developed character complete with floors, and all she sees are the temptations around her from big business and criminals. Burislav acts as Ukiyo's protector in all this, but he wants to hide who he is from her for his own reasons, but does so without coming across as selfish or heartless, which is another of Mela's ways of being able to weave such a great story. Ukiyo is foremost a thriller with some aspect of romance worked into the story. Ukiyo is new to being a sniper as this is her fourth assignment, but she has all the nerve to push herself to the limit when it comes to her secret job away from being an Archaeology professor. She's not short on humour or daring as at the start of this novel she patiently watches her target, ready to press the trigger, yet it doesn't go as well for Ukiyo as she imagined as she was being shot at too, and someone saves her and patches her up as well as he can. Mela knows how to handle sensitive scenes and ones that require a certain flair for the dramatic as there is magic involved between the cloak and dagger world of mystery and espionage. As expected, after Ukiyo's ordeal, she starts to doubt herself, her ability to continue doing the side job she planned to do, but she is surprised to be given another assignment, one that takes her to London to find a certain man. 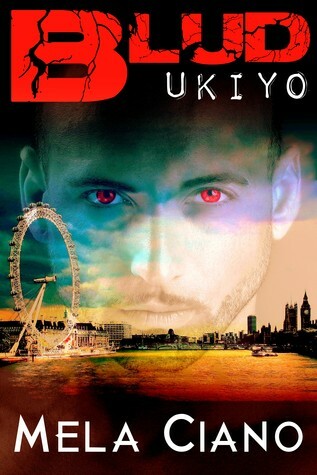 I wondered why the London skyline was on the cover, and now I know, but I do love the red eyes the guy has too. Like Break the Chains, this is well written, well paced and deserves to be read anywhere the lights are on.